The Ottawa Senators come into this Thursday night clash looking to get their 10th road win of the season as they head into Calgary to take on the Flames. On the flip side, the Flames are looking to keep their crown in the Pacific. The Ottawa Senators have had an up and down season to say the least as they are looking to end the season with some type of momentum and smiles. However it may take a little bit more than luck as the Senators are still without their 10th road win of the season. The Senators have lost the past three straight games including losses against the Philadelphia Flyers, Boston Bruins and New York Islanders. They are already down to the Vancouver Canucks on Wednesday night as that road losing streak might head into four games come sun up. The line is already juiced in favor of the Flames as you would need to drop $400 in order to $100. 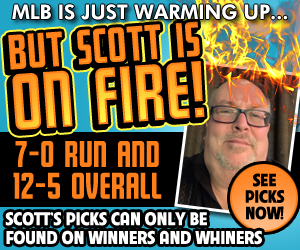 Could there be some value on the Senators then as they are listed at +310 money line? It would basically be throwing away money at that point as they are 25-41-5 on the season with holding a 9-25-1 record on the road. On the flip side they are 16-20 covering the extra puck line on the road. Even though the Senators have one of the worst records in the NHL this season, they actually have somewhat of a decent attack. On the offensive side of things, they are scoring an average of 2.96 goals per game which is 15th in the league. On the flip side, they are allowing 3.64 goals per game which is dead last in the league. The Calgary Flames have clinched their way into a playoff spot as they are looking for even more as they are hoping to get the #1 seed in the Pacific. At the moment, they have been battling with the Sharks back and forth for the spot, but the Flames have the upper hand as they have three points on the Sharks. The Flames enter this game with having 97 points to their name and an overall record of 45-21-3 on the year. On the flip side, the Flames have one of the best home records as they are holding a 24-7-3 record at home. With the Flames being the heavy favorites in this game, I would recommended staying away from the money line or puck line as the value is simple not there. Instead of playing the team total could be very interesting. The Flames have hit their team total goal in the past four out of five games. In that same span, they won four of those five games with nice wins against the Las Vegas Golden Knights, New York Rangers, New Jersey Devils and Columbus Blue Jackets. With the Flames being the best in the Pacific, of course, they have one of the best front and back ends in the league. They come into this game with scoring an average of 3.56 goals per game which is 3rd in the league. On the flip side, their back line is staying level with the team as they are allowing 2.79 goals per game which is 10th in the league. Flames are 4-0 in their last 4 home games vs. a team with a road winning % of less than .400. Flames are 8-1 in their last 9 vs. Eastern Conference. Senators are 1-4 in their last 5 vs. Pacific. Senators are 1-5 in their last 6 games as a favorite of -151 to -200. Senators are 1-6 in their last 7 road games vs. a team with a home winning % of greater than .600. The Flames puck line is an alright play here, however the value is simple not there. I would use that betting money on the Total here as the Flames will out duel the Senators on Thursday night with ease. Maybe put the Flames ML in a nice parlay here. The Flames excel when they are the heavy favorites as the over is 6-1-1 in Flames last 8 games as a home favorite of -201 or greater. They have also hit the team total of 3.5 goals in all of those games as that will be a good play with the Over here.